Allegedly discovered by a Bedouin shepherd chasing a stray, the initial Dead Sea Scrolls found here changed the study of the Old Testament. The seven scrolls discovered in this cave were the Manual of Discipline, War of Sons of Light, Thanksgiving Scroll, Isaiah A and B, Genesis Apocryphon and Habakkuk Commentary. The Copper Scroll was found in this cave in 1952. This was the only scroll photographed in situ. The Copper Scroll is on display in the Amman Museum and lists 63 treasures hidden in the Judean wilderness and Jerusalem area. 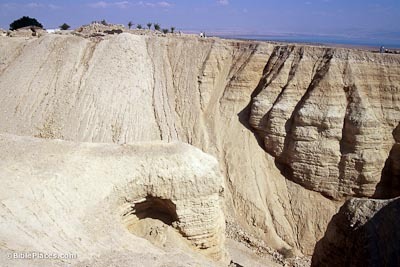 This most famous of the Dead Sea Scroll caves is also the most significant in terms of finds. 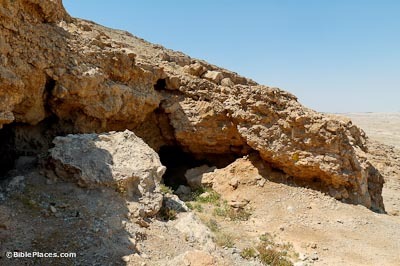 More than 15,000 fragments from over 200 books were found in this cave, nearly all by Bedouin thieves. 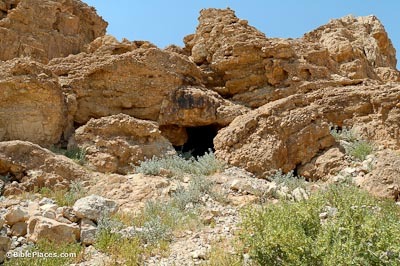 122 biblical scrolls (or fragments) were found in this cave. 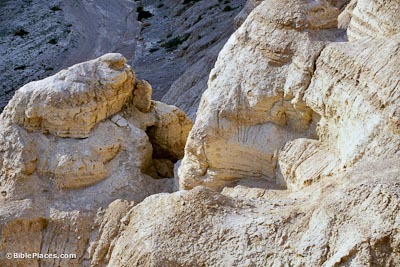 From all 11 Qumran caves, every Old Testament book is represented except Esther. No New Testament books or fragments have been found. The scrolls found in this cave were poorly preserved because they were not stored in jars. The practice of paying “per piece” led to the creation of multiple fragments from single pieces by the Bedouin thieves. This cave was among those looted by the Bedouin in the free afternoons of the days they were in the employ of the Qumran archaeologists. 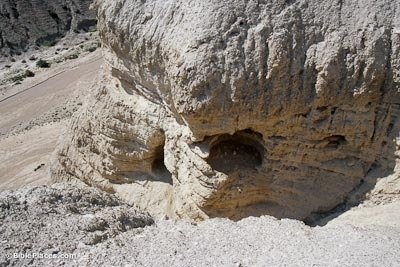 This eroded cave was discovered by the archaeologists (Bedouin found caves 1, 2, 4, 6, 11). It is one of those in the marl terrace close to the site of Qumran (also caves 4, 7, 8, 9, 10). Archaeologists estimate that there were originally 30-40 caves in the marl terrace. Fragments of 25 scrolls were found in this cave. This cave was not used for inhabitation, but only for the storage of scrolls. 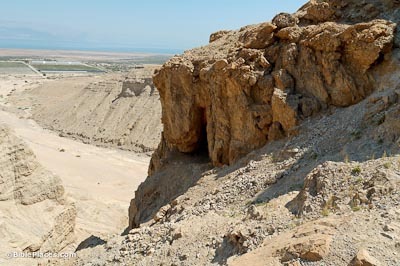 This is the most accessible of the Dead Sea Scrolls to visitors today (follow the aqueduct from Qumran to the hills and the cave is on the left). Everything found in Cave 7 was in Greek, including a copy of the book of Exodus. The cave collapsed shortly after the scrolls were hidden. In Cave 8 archaeologists discovered a mezuzah, fragments of Genesis, fragments of Psalms, and dozens of squares of small leather strips. The worker who lived here had the job of making these strips. Only one ostracon was found in Cave 10. Complete scrolls were found only in caves 1 and 11. 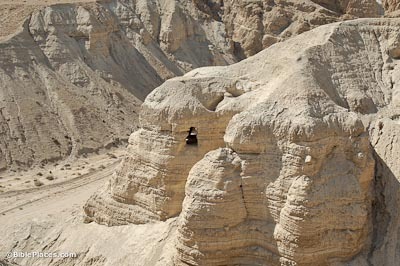 The last Dead Sea Scrolls found to date were found in this cave. Thirty scrolls were found including Leviticus and the Temple Scroll. The Temple Scroll was held by the antiquities dealer Kando until 1967 when being put in jail by Yadin, he agreed to sell it “of his own free will” for $110,000. Discovery Sites (Israel Antiquities Authority) – A list of all the caves where manuscripts were found with a description of the major finds in each. Inventory of Manuscripts from Qumran – includes a list of what scrolls were found in each cave. 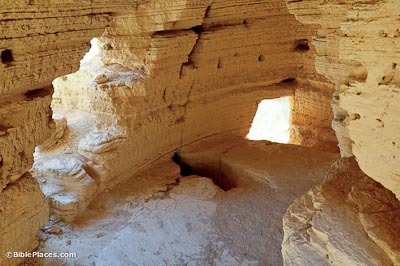 Picture of the Week: Qumran Caves (BiblePlaces Blog) – an explanation of the numbering of the caves and one photo showing 7 caves. 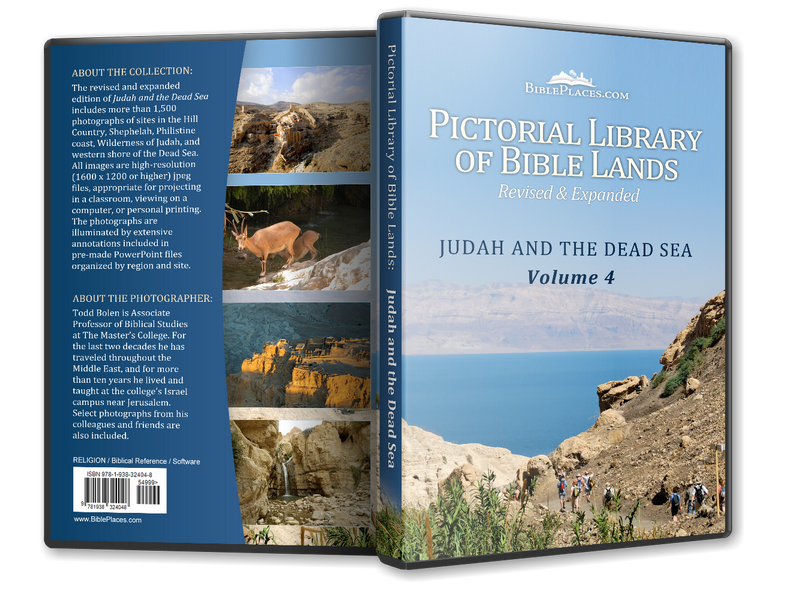 Qumran Caves 1 and 2 (BiblePlaces Blog) – an explanation of how to find the first two caves where Dead Sea Scrolls were discovered. 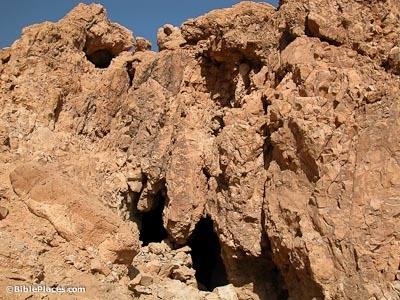 Secret Places: Qumran Cave 1 3D Facade (BiblePlaces Blog) – an interactive view of Cave 1. See Qumran for many related websites.